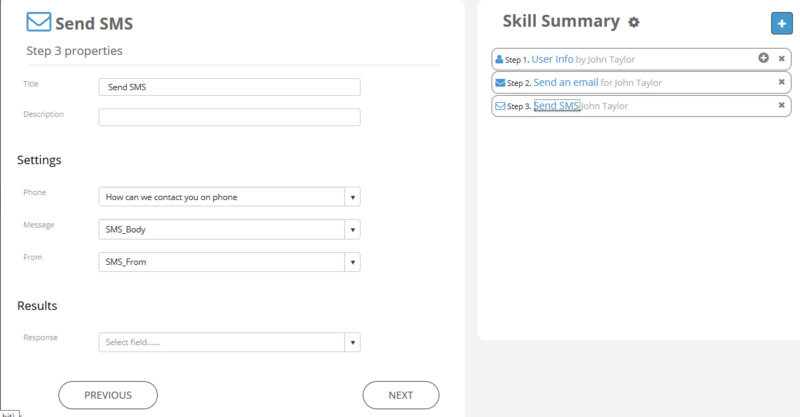 Now we'll see how to add another step to our 'Contact Support' sample skill. 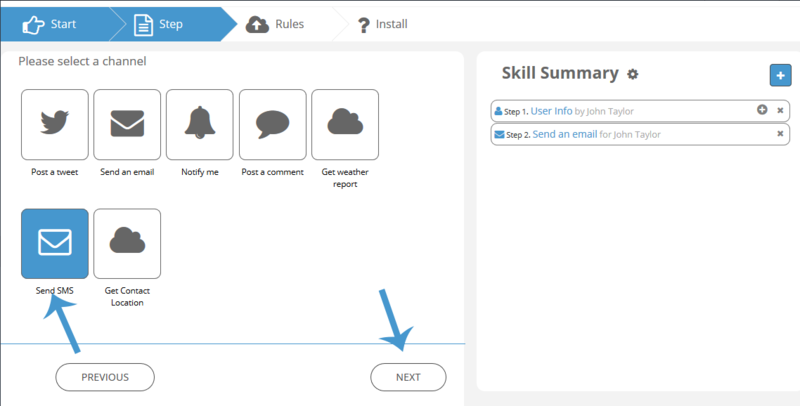 As shown before, click the '+' icon in the right sidebar which would pop up the UI for choosing between step type e.g User, Internet Channel or Skill. We'll add them one after another as an individual steps in our sample app. 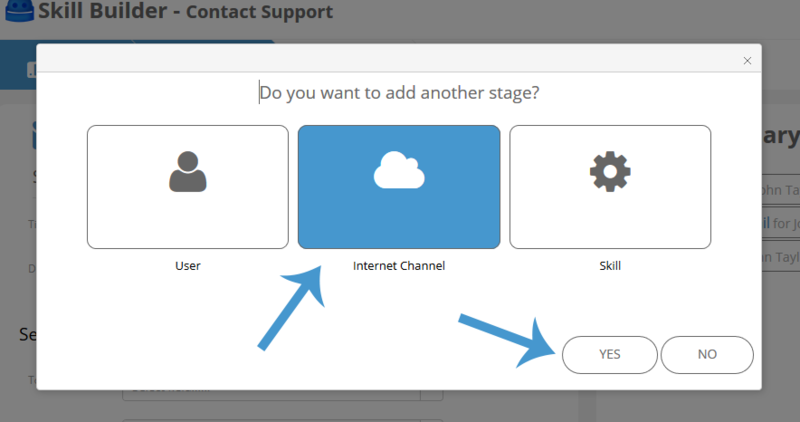 Choose 'Internet Channel' as shown in the image above and click nex to choose between what type of Internet Channel service we'd be using to add as a step in our 'Contact Support' sample skill. 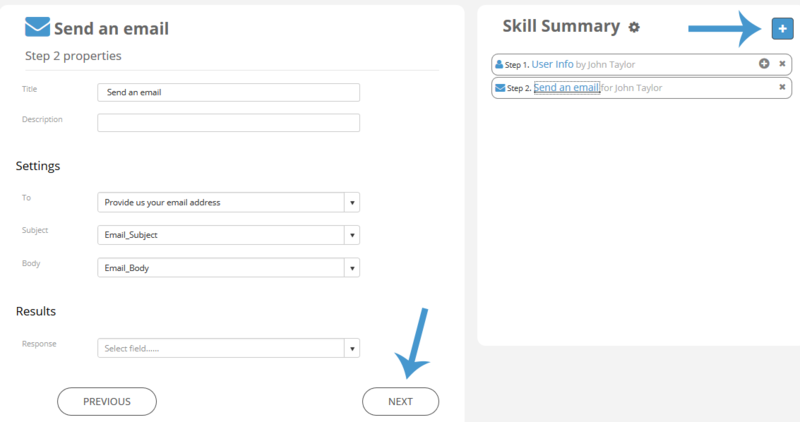 Note that the fields used in 'Send Email' step are pre-defined in the 'Hidden Section' we created earlier while we created the 'User Info' step. Just like that, we'll add another step for 'Send SMS', which would also be of Internet Channel type. 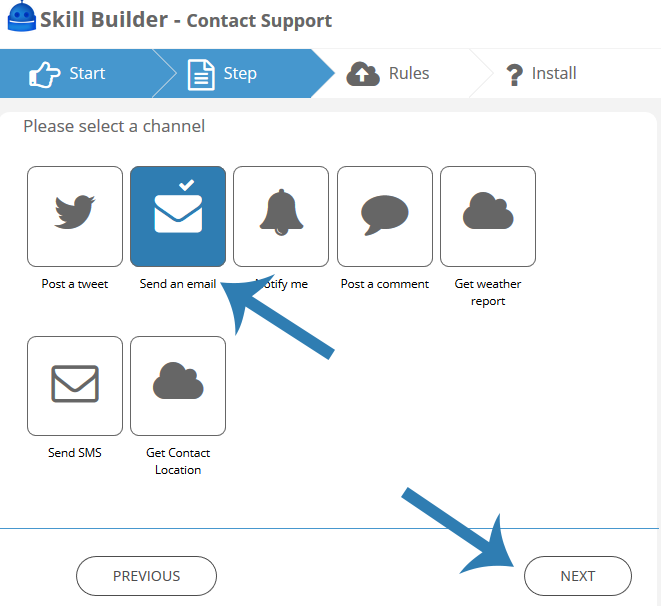 Once the Send SMS step is added, you can setup the fields as shown in the image below.